Just east of ancient Roman seaport Ostia is a raised dendritic pattern distinguished from the surrounding terrain by its luxurious vegetation. The ridges are so precisely defined, with so little erosion, that one can rightly suspect recent formation from a cosmic electrical strike. Along the Italian coast a large number of similar patterns exist. They generally trend perpendicular to the shore. (In this article this geologic pattern will be termed a ‘fulmen’ from the Latin word for thunderbolt.) If our suspicions with respect to dating are correct, Neolithic man was present when the fulmens were created. To get some notion of a fulmen, notice the bluff pictured below along Via Radio Faro, Fossignano, Italy. This thick layer of rock is what we suspect a cosmic thunderbolt ripped apart. Interpreting this event as a chemical explosion cannot be accurate. It didn’t simply reduce large rock to smaller rock. Fields surrounding a fulmen were not ruined by a thick layer of broken rock. So where did all the rock go? 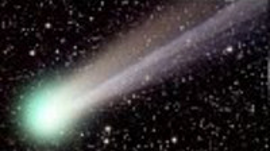 The Moon, Mars and Comet 67P indicate electrical activity produces a lot of fine powdery debris. The thunderbolt appears to have produced some rock and a lot of soil. For the Neolithic farmers the amount and size of the rock was never so large as to prevent the land from being cleared and farming resumed. Ubiquitous stone borders surrounding fields testify to the cleanup after thunderbolt strikes. The farm land was shaped where field and fulmen met. The fields on the Italian mainland between the fulmens were generally rectangular but curved where the two met. The fields on Sardinia, however, are very different. They are highly irregular. Note the fields SW of Mandas, Sardinia, pictured below. The high irregularity could only be the result of Sardinia having suffered far more strikes than the mainland and over a longer period of time. The image above is the area SW of the Sardinian town of Mandas. While modern man can only speculate as to what happened during a cosmic strike, it can be assumed the early Sardinians had to confront at least two extremely dangerous events. The almost instantaneous excavation of a fulmen meant the launching of tens of millions of tons of earth, rock, trees, etc. into the air. The land around the fulmen was inundated by a huge debris fall. Furthermore, the strike must have sent a MASSIVE shockwave ripping through the countryside. These two forces shaped early Sardinians response to their electric environment. The Sardinian countered these threats by building nuraghi, and what the locals call Domus di Janas. 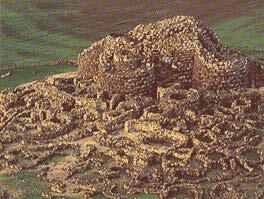 The nuraghi were massive fortress-like, thick walled stone structures. Thousands were built. 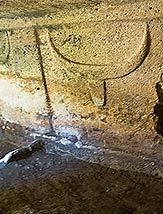 The Domus di Janas were underground shelters carved out of solid rock. These were like bunkers. Each type of structure required a huge commitment of time and labor. It is hard to imagine anything but the most serious threat motivating a group to undertake such major construction. The quote above described the later nuraghi. The early nuraghi were called proto-nuraghi. They had somewhat different layout and used unshaped stone. The important point to note was nuraghi design evolved over a long period of time. Roofs went from flat to domed, walls from straight to curved and stones from rough to shaped. Most of the later nuraghi lost the dome for various reasons. 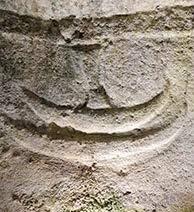 The image evoked by all Sardinian construction was protection. Thick walls, huge stones and immense effort were the common features of their building. This implied the forces they had to counter were very powerful. Pictured below is a typical structure. The purpose of this design is unknown, though it would not be unreasonable to suggest a shield against the shockwave. As long as the contents were below the height of the wall, they were probably safe from the blast. Whatever experiences were on the minds of the builders, the structure itself says protection. 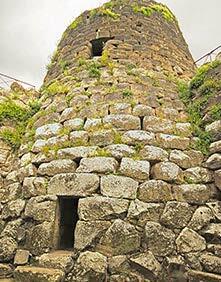 Another feature of Sardinian construction was the elaborate structures over their wells. Mainstream academics have interpreted this as a Sardinian ‘water cult.’ This cultic explanation is not supported by any evidence. A better explanation was simply to protect their water sources from dust and debris. For examples of these wells see neroargento.com/page_main/pozzi.htm. It appears that this protection was designed to maintain access to water and and to avoid pollution of the water. We can only speculate on the nature of the debris fall. Perhaps a mass of rock and fine debris erupting from the fulmen spread across the countryside. 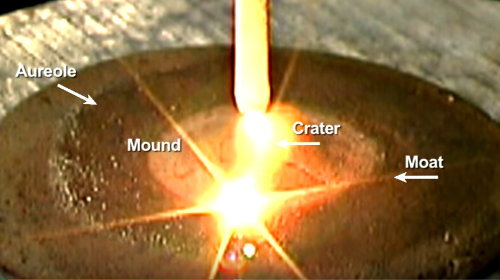 It could have similar to very dense pyroclastic flow without the associated heat. As the trebuchets demonstrated in the middle ages, a rock flung at moderate speed can impact with destructive force. Those launched by the thunderbolt were dramatically more powerful. 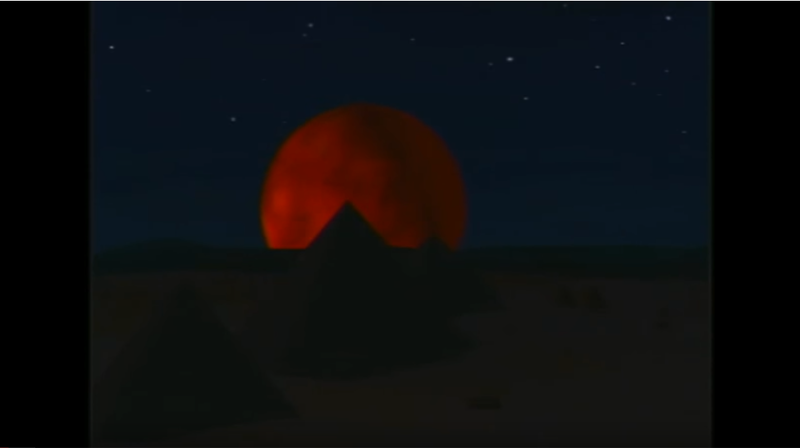 Whatever the nature of the debris’ arrival, it had to have arrived with such force that only the massive walls of the nuraghi provided protection. Most of the nuraghi were built on high ground so the notion of a tsunami is not believable. 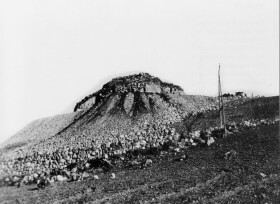 The elevation also eliminated erosion as the source of Sergio Frau’s ‘mud.’ Since no other source could generate enough debris to almost bury the nuraghi, the most likely source for the deposition would be the cosmic events that created the fulmen. Three examples will be used to highlight this point. In the drawing below, note the amount of debris accumulated around Nuraghi Santu Antine before excavation. It had risen to the opening two thirds of the way to the top. The only viable explanation for this accumulation was the repeated inundating debris falls from cosmic strikes. extends to the upper opening. Right: Today after excavation. 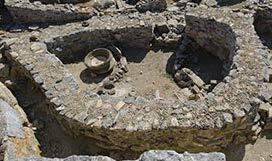 The pictures below show Nuraghe Barumini before and after excavation. 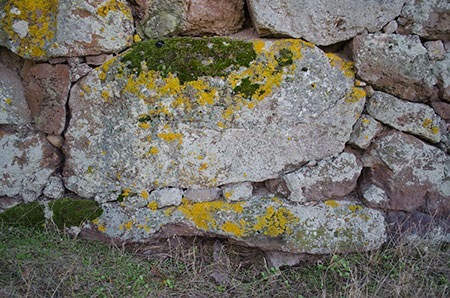 A third example below is Nuraghe Ozieri, an early proto-nuraghe, with a door buried up to its lintel. 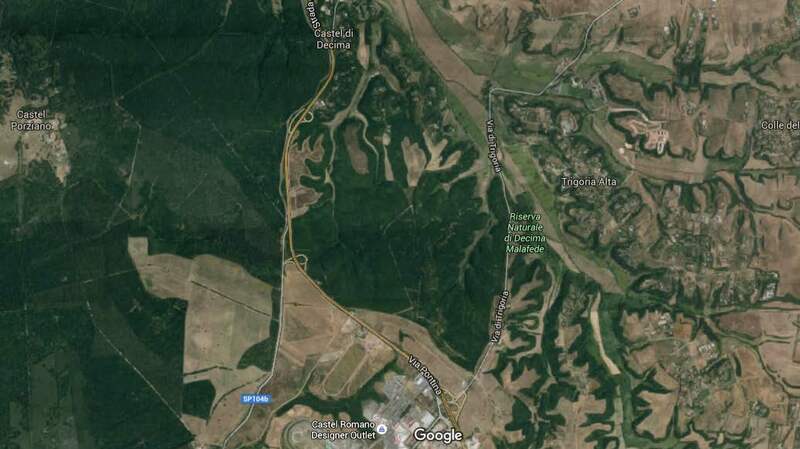 The fulmen east of Ostia mentioned earlier is 15 miles long. The only reasonable sources for the debris inundating the nuraghi would be the events that created the fulmens. As stated earlier, the Domus di Janas were basically bunkers hollowed out of solid rock. More importantly, inside these structures were left graphic expressions of the electric environment. 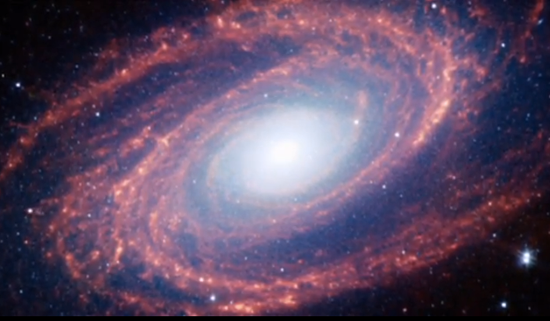 These images shown below will be familiar to followers of the Electric Universe. 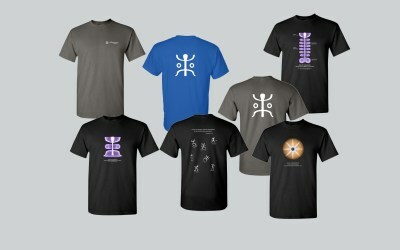 These symbols show that the builders of these structures living during a period of great electric activity. 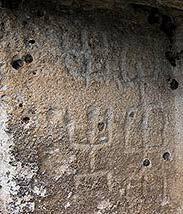 The early Sardinians left some very unusual works of art. 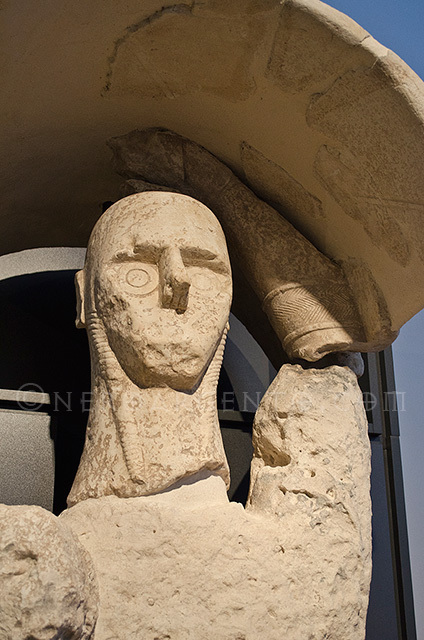 At Monte Prama were found a large number of life size statues. The one pictured here is holding a shield over his head. 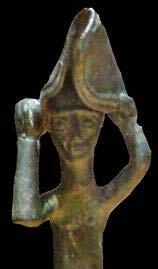 Another unrelate d small bronze below shows a man holding a shield over his head. He appears to be wearing a sort of glove possibly to protect his hands, the only exposed part of this body, from falling debris. Taking the images as they appear, protection must have been important to the creators of these statues. 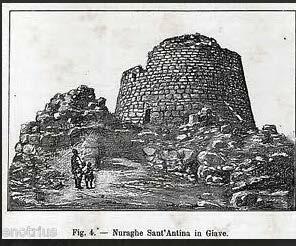 Sardinia’s nuraghi and Domus di Janas have baffled academics for a hundred and fifty years. While the evidence above is circumstantial, it seems that Sardinia had a very active electric environment. 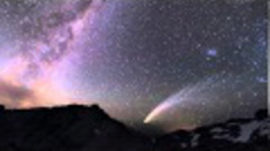 Only cosmic strikes could generate the debris found around the nuraghi. Water had to be protected, since debris could swamp wells, threatening the water supply. The images left in the Domus di Janas document the presences of an electric environment. The structural strength of the nuraghi testifies to very powerful forces the structures needed to counter. The farmland around Sardinia shows in places extreme deformation from numerous strikes. 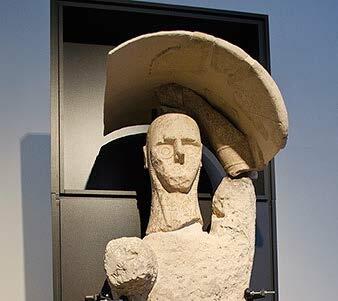 The statue from Monte Prama might have been a solicitation for protection from overwhelmingly powerful forces. While the nuraghi are unique to Sardinia, structures like Domus di Janas are found in Malta, Sicily, Turkey and other places. With these functions in mind, we might ask whether the kivas used by the southwest Indians may have originated in the electric environment as well. Whether built above or below ground, it seems more than likely that these sanctuaries were built to counter the powerful forces of a cosmic strike. Brian Cairns is a Southerner now living in Glenview, Illinois, who worked in IT for 30 yrs. His degree is in history. He can be reached at bcairns100@gmail.com.